These bold button-ups aren’t just for the early bird special-eating, shuffleboard-playing, Palm Springs retirees or tourists with fanny packs and cameras hanging from their necks anymore. The ocean-inspired patterns and bright colours made a splash *pun intended* on the runway in almost every SS2018 show, and quickly washed up on shore in mens’ street style. Ok, no more bad beach puns, I promise. Paul Smith, Louis Vuitton, Balenciaga, Sandro, and Dsquared2 were just a few names who made this tropical top a must-have for the season. First came the “dad-bod”. Now, enter what Vogue has titled “dadcore” style — a clean, classic look that gentlemen of all ages can get into. Basic tees, sweaters, and button-ups tucked in to belted jeans or dress pants created a simple, sophisticated vibe at SS2018 shows for the men. In particular, Vetements, Balenciaga, A.P.C, Fendi, and Tod’s brought some fire “dadcore” looks to the runway. The kids are still saying fire, right? I’ve never been cool with the “real men wear pink” saying because what does that even mean? Leave your sexist ideas of which genders should wear which colours at the door. You don’t get an award for bravery if you’re a dude and wear a pink tee. Rant over. You do, however, get a round of applause from the fashion gods for being on trend this season, so yay for you! 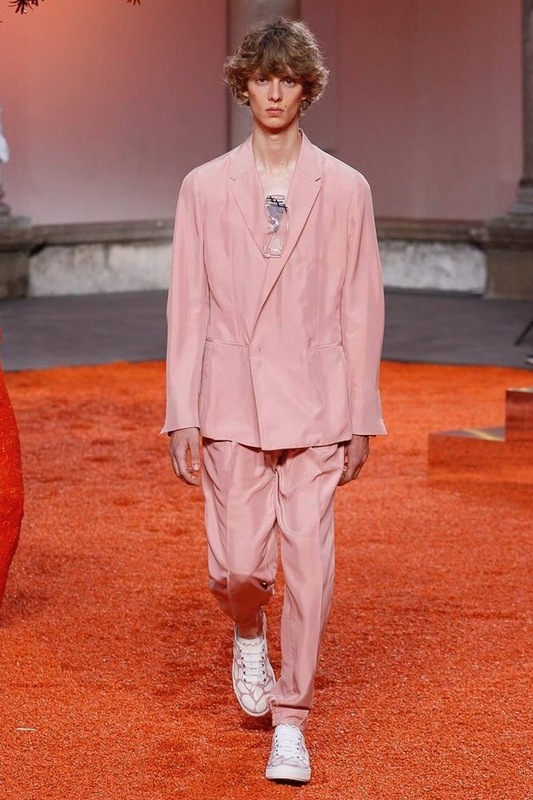 This dusty, rosy pink colour, also being called “Millennial Pink”, has been around for a bit, but is still being called this seasons go-to by designers like Fendi and Valentino. Easily paired with any neutral colour, this pastel shade will add a subtle, fresh pop to any outfit. Ermenegildo Zegna, Dunhill, and Tom Ford are just a few who did this look right. A.P.C. 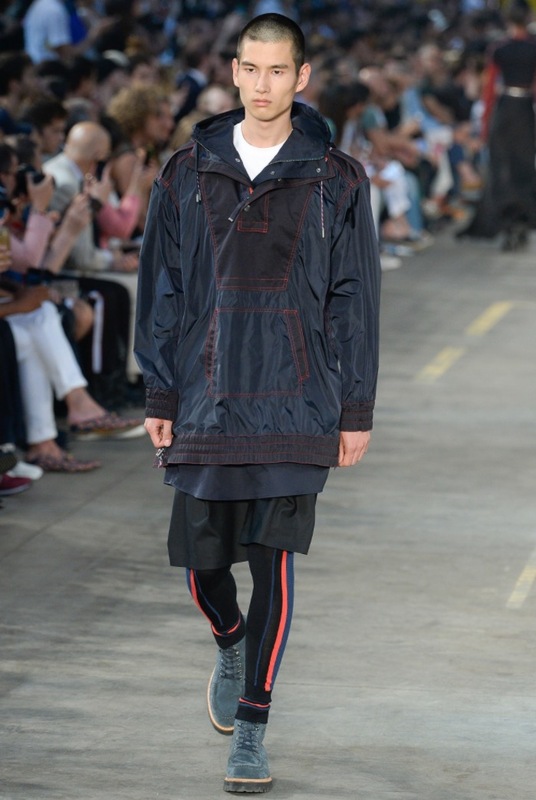 Photo: Courtesy of A.P.C. Who wears short-shorts? He wears short-shorts. 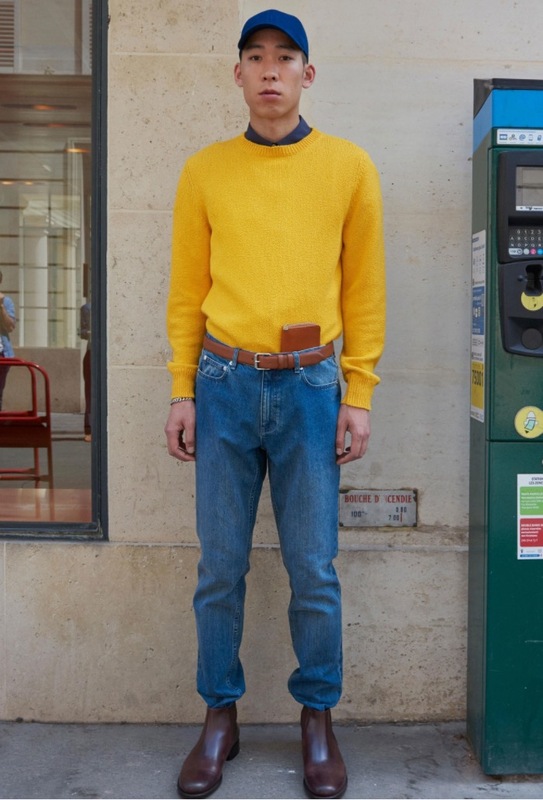 I’m gonna go ahead and give Homer Simpson circa 1992 full credit for this look, but thank the likes of Dior Homme, Prada, Études, Tom Ford, and Lucien Pellat Finet for bringing it back. 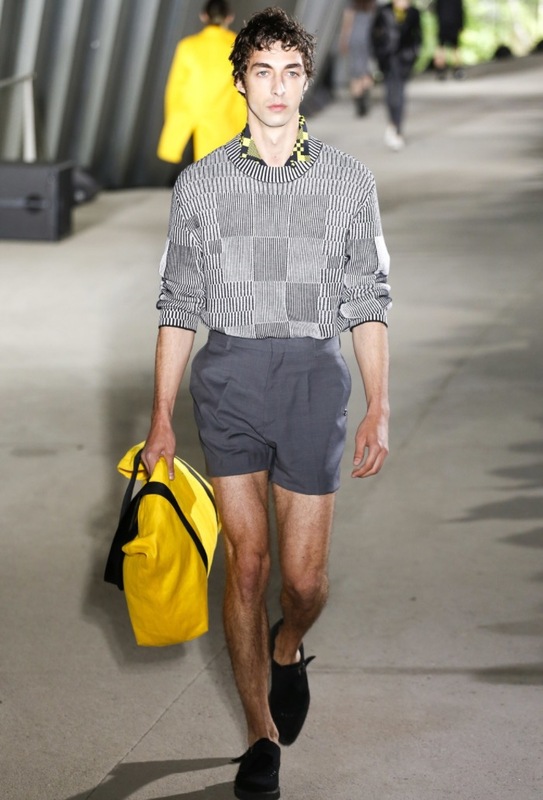 Athletic shorts, denim shorts, and even suit trousers were hemmed up high before hitting the runway to give this summer essential a new edge and bless our men with almost non-existent farmers' tans. Comfortable, breezy, and straight from the seventies — they may be small, but they’re trending in a big way. Active outerwear (and not having to change after the gym if you don’t want to) FTW. Looking fly after your workout is made simple with this outdoorsy trending look. Leave on your shorts or compression pants and toss on a bright coloured 90’s-inspired windbreaker or any sort of alpine sportswear and you’re good to go. Diesel, Patrik Ervell, Kenzo, Hermès, and Lanvin brought some of the coolest, most practical, out-exploring-nature styles to the runway.